Gift Ideas from Nobrain: Unique ideas and suggestions for every occasion. Are you shopping for a really unique gift for someone special and you don't have any idea what to choose? Well, that's where our free Nobrain gift suggestion service comes to the rescue. 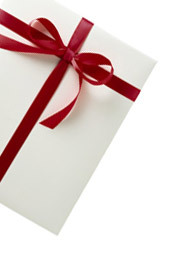 Our Gift Idea Experts will help you find the perfect gift regardless of the occasion or the recipient. The best part of our service is that is really fun and totally free. It's Time to Shop for Valentines Day Gifts! Where does the time go? The hecktic Christmas season is a distant memory so now we're in full swing researching ideas for the next big gift giving season this year: Valentines Day 2019. It's time to show your family how much you love them with great gifts! Nobrain's Top 10 Valentines Gift Suggestions for 2019! Don't wait until the last minute to buy your Valentines Day gifts. Get started right now before it's too late to get them shipped and boxed up before February 14th. By doing your shopping here Online, you don't have to go near the nasty shopping mall at all this year. Just choose fun and unique gifts for everyone on your holiday gift list here on at Nobrain, and sit back and wait for that special present to be shipped directly to your door. You'll be able to watch and grin knowing that you have your 2019 Valentines Gifts all wrapped up, while everyone else rushes out shopping at the last minute. More than just Geek Gifts - CLICK NOW to see the thousands of cool items. Searching for a Great Birthday Gift?? With all of the holidays on which you are supposed to give gifts it's easy to forget to buy gifts for those who have their birthdays this time of year. That's why our gift experts always have an excellent list of really great gift ideas that should really WoW the birthday boy, girl, man or woman. For several years now, shopping for gifts on the Internet is not only safe, but it is simple too. Just browse through our Birthday gift ideas. When you find gift ideas that fit your interests, you can purchase the items online or you can buy it in person at your local merchant. At Nobrain, we take gift suggestions seriously - especially at Birthday time.